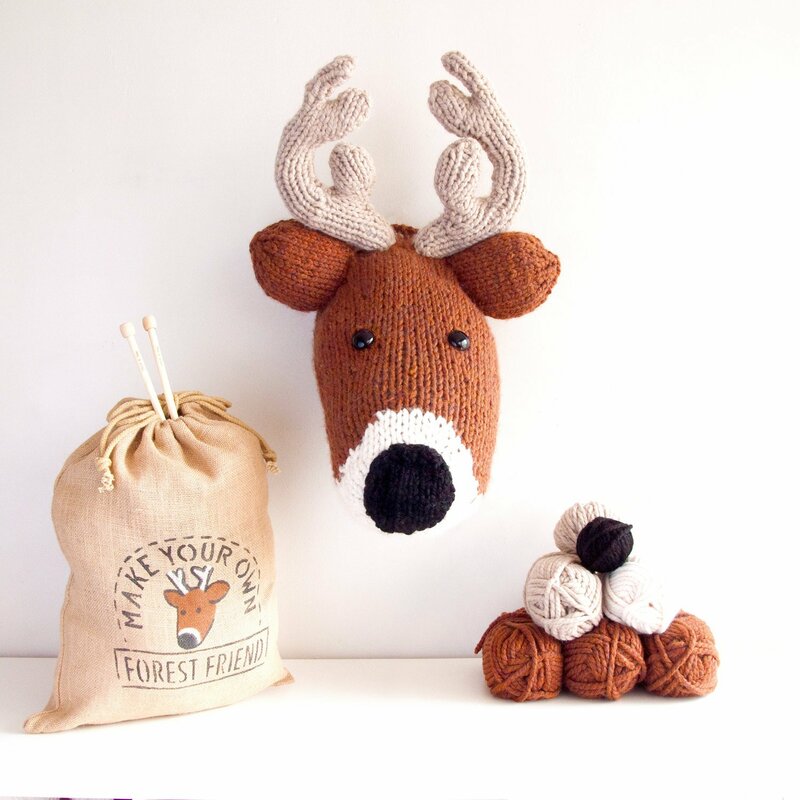 Sincerely Louise’s faux-taxidermy knitting kits will have you keen to pick up the needles – or asking your granny to – in about five seconds flat! 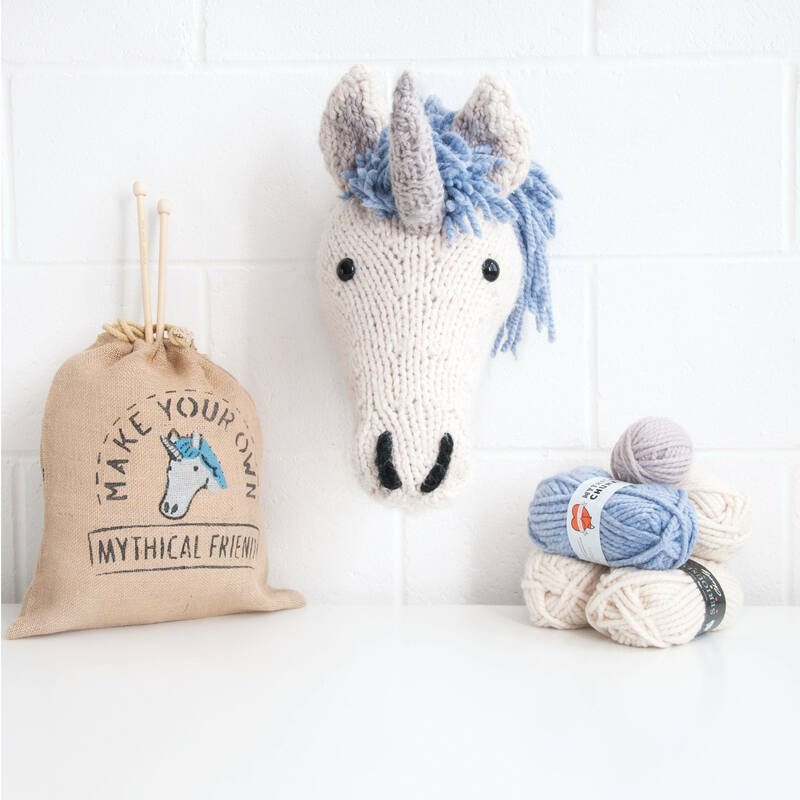 These cute knitted animal heads are so nice they might go straight to the pool room OR they could take pride of place on the nursery wall, which is our bet. The kits come in a bunch of different animal suspects and include pretty much everything you need to make your chosen creature. You can choose from a hare, a dragon, a unicorn, a deer, a ram, a t-rex and more. Hooray! Can we make it? Yes, we can! 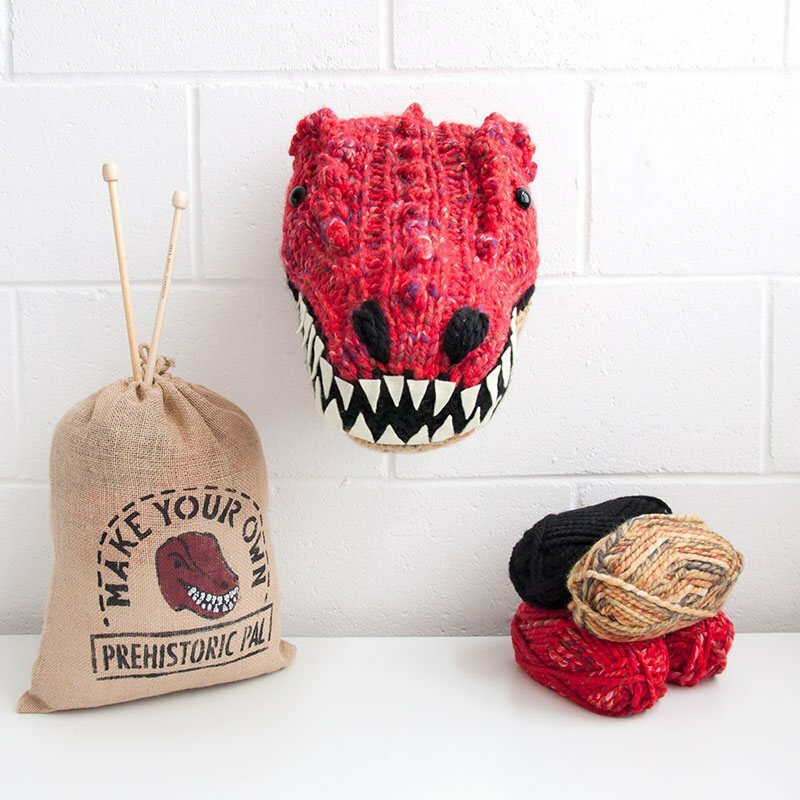 These handmade animal head kits range in price from around $60 to $85 – because they come with everything you need for DIY success. 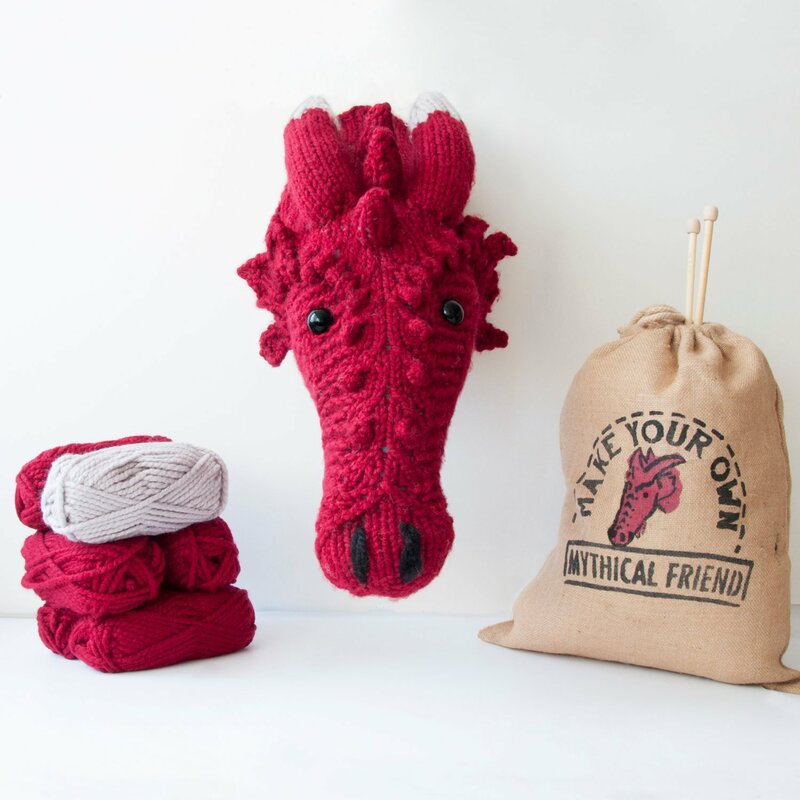 Inside the beautifully hand printed project bag, you’ll find: all the instructions you need to knit your guy, all the chunky yarn to create your creature with, knitting needles, a yarn sewing needle, eyes to pop on your critter, filling to stuff him with and a backing board to mount your animal head on. 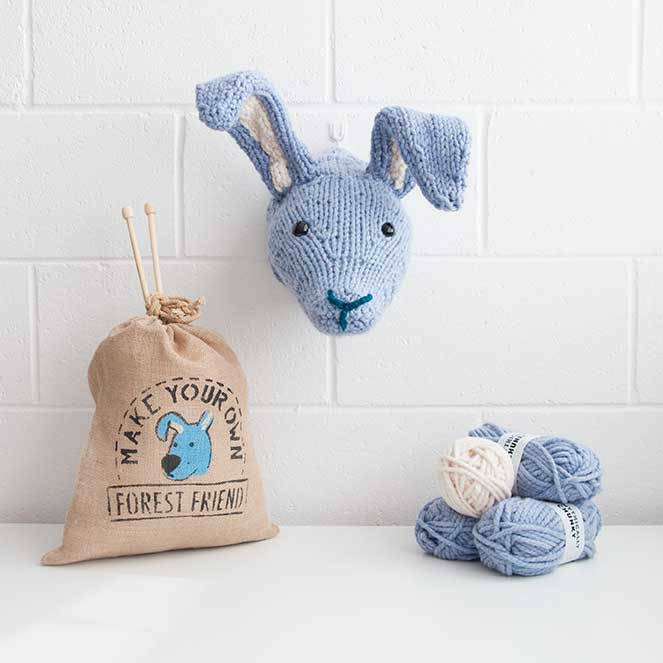 The genius designer behind these kits, Louise Walker, is a bit of a creative legend, also collaborating with fashion label Boden, yarn company Stylecraft and craft magazine Mollie Makes. It goes without saying that you’ll be DIY-ing with instruction from the best in the crafty biz! And really? 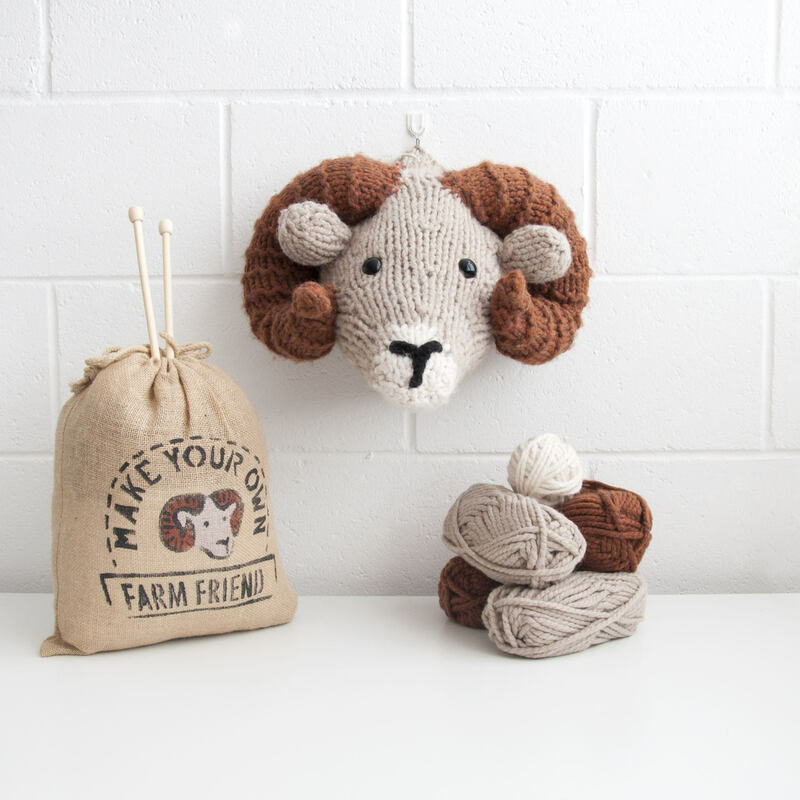 How could you not want one of these on your nursery or kids’ room wall?! Find out more on Etsy at Sincerely Louise.